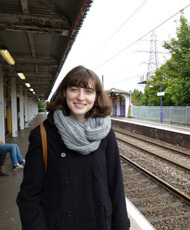 “Warwick is a great university - I've only been here a few weeks and already it feels like home! It's very welcoming and the staff and students are really friendly and helpful. As an international student, I feel I have a lot of support. The campus is also beautiful, and it's great having everything I need so close by”. “Join something! Whether it's a sports club or a society, the best way to meet people is to join something. Warwick has a great Student Union and a strong sports program, and all the clubs and societies have plenty of socials to go to. As well, take advantage of what the International Program offers - trips, socials, language classes and other events where you can meet lots of international students from around the world”.